The stage is often no longer round and sometimes the stage itself becomes a different venue – school auditoriums, festivals, and even the park – play host to his characters and his words. Yet no matter where we watch a performance, Shakespeare always remains Shakespeare, the bard with the ability to teach us about human nature and entertain us through tragedies, comedies, and histories. Whenever any opportunity arises for me to attend a performance of Shakespeare, I’m in. So when my friend asked me to go with her to see a performance of Macbeth in a bar, naturally I said, “YES! Wait, really, Shakespeare in the bar?” Yes, really. 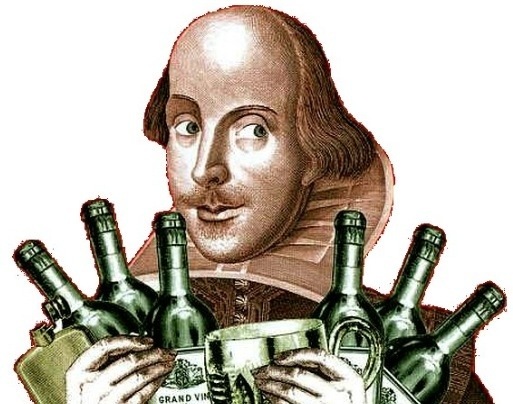 Then again, Shakespeare did say, “All the world’s a stage,” so why not include the bar? Yesterday evening I watched the Valley Shakespeare Festival Theater Group perform Macbeth in the bar, Porky’s bar in downtown Shelton. The show was interactive: teams were created to keep track of how many people are murdered in the play while we dined on Porky’s wings and pizza, and some audience members were pulled onstage (aka into the center of the bar room floor) to participate, and yes, I was pulled onstage! Hello acting debute, which I think is so appropriate it happened during Macbeth, one of my favorites, and in a bar surrounded by food and libations. For me one of the highlights of the night was when the director, who also played a role or two, ordered a beer at the bar mid-performance and sipped on it while giving his lines. Somehow, I feel the Bard himself would have approved! Plus, I think the final battle was the most unique bar fight I’ve ever witnessed. While I’ll always enjoy a traditional performance of Shakespeare’s works, watching it while having a drink and munching on some food at the bar might just be my new favorite way to watch a play. You’re very welcome! I enjoyed the performance!